Crown Publishing Group (NY), 9780385348409, 440pp. In John Verdon's most sensationally twisty novel yet, ingenious puzzle solver Dave Gurney brings his analytical brilliance to a shocking murder that couldn't have been committed the way the police say it was. The daunting task that confronts Gurney, once the NYPD's top homicide cop: determining the guilt or innocence of a woman already convicted of shooting her charismatic politician husband -- who was felled by a rifle bullet to the brain while delivering the eulogy at his own mother's funeral. 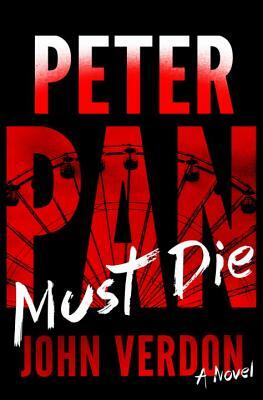 Peeling back the layers, Gurney quickly finds himself waging a dangerous battle of wits with a thoroughly corrupt investigator, a disturbingly cordial mob boss, a gorgeous young temptress, and a bizarre assassin whose child-like appearance has earned him the nickname Peter Pan. Startling twists and turns occur in rapid-fire sequence, and soon Gurney is locked inside one of the darkest cases of his career - one in which multiple murders are merely the deceptive surface under which rests a scaffolding of pure evil. Beneath the tangle of poisonous lies, Gurney discovers that the truth is more shocking than anyone had imagined. And the identity of the villain at the mystery's center turns out to be the biggest shock of all. JOHN VERDON is a former Manhattan advertising executive who lives with his wife in the mountains of upstate New York. His first three Dave Gurney novels, Think of a Number, Shut Your Eyes Tight, and Let the Devil Sleep, are all international bestsellers.